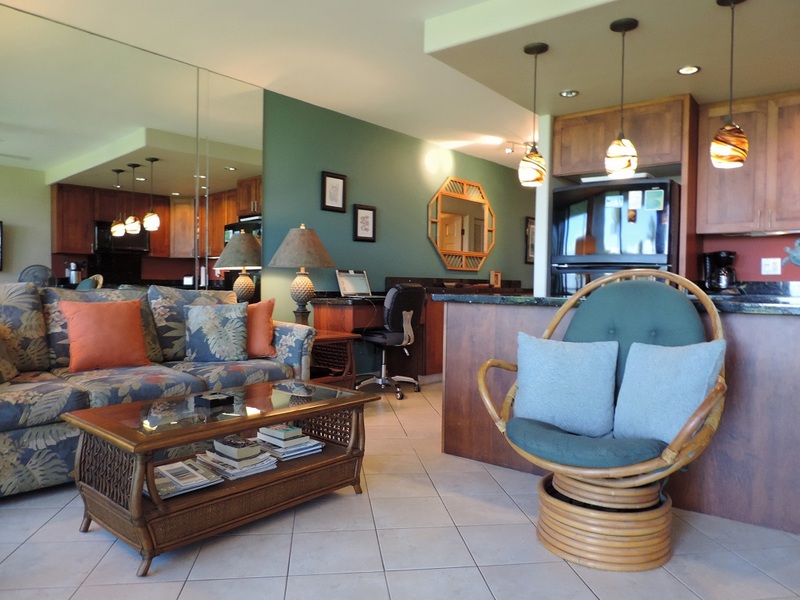 This third floor oceanfront condo at the Kihei Surfside Resort is located on quieter side the building and has a lovely ocean view from the kitchen, living room, dining area and lanai. It is one of the larger, 1 bedroom, 1.5 bath units (680 sq ft). With the exception of the bedroom, the unit is tiled throughout. It has been tastefully remodeled to a very high standard. The unit has maple cabinetry and gorgeous black granite countertops which are consistent throughout the unit. Rosiesrentals.com starting handling the rentals of this unit in February 2010, so we do not yet have a years worth of Guest Ratings to publish. The beautiful kitchen is well equipped with stylish black and stainless steel appliances, including a large refrigerator with ice maker, flat top stove with microwave hood fan above, full size dishwasher and garbage disposer. There is a pair of matching barstools on the outside of the island. The living room has a queen size sofa-bed and a comfy swivel rocker rattan basket chair. There is a large flat screen LCD color TV, DVD player, stereo and multi speed ceiling fan. The dining area has a round rattan glass table with 4 matching chairs. 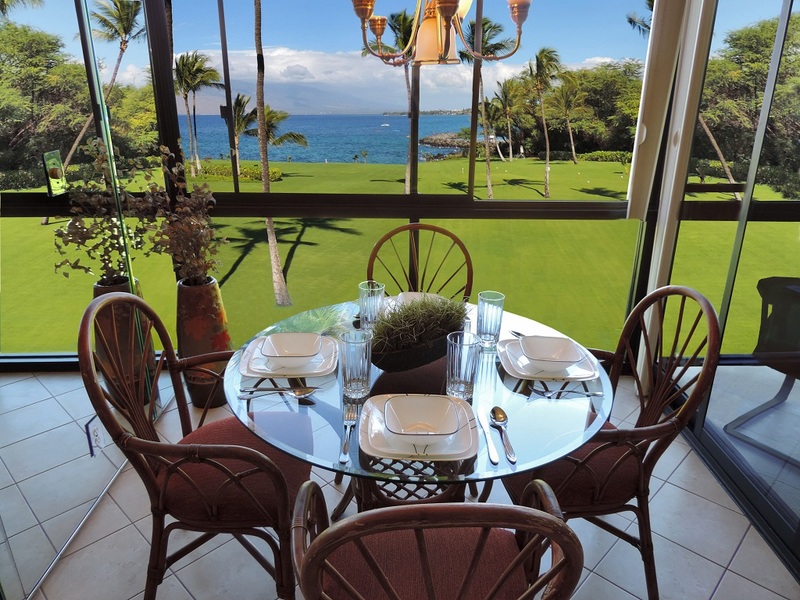 The large lanai has a bistro table with two padded bistro chairs – a perfect place to enjoy your morning coffee or a romantic oceanfront dinner! The entry hall is very spacious, with a large built in maple/granite buffet, and a functional desk area with a ergonomic leather office chair and free high speed internet hookup and telephone with free long distance calling to Canada and the US. second desk area. The bedroom has a King size bed, multi speed ceiling fan and Hawaiian style rattan furniture. The master bathroom has a full size, walk in shower with bench and large grab handle, with the same gorgeous cabinetry and countertops earlier described. The half bath is equally as tastefully decorated. The unit is fully equipped with utensils, fresh linen and towels, iron/ironing board, hairdryer, beach chairs, beach towels and a cooler. 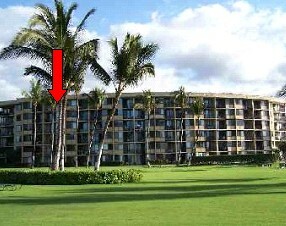 Umbrellas, boogie boards and snorkel gear are not supplied, but are often left behind in the units by other guests – no guarantees. Laundry facilities are available on site. 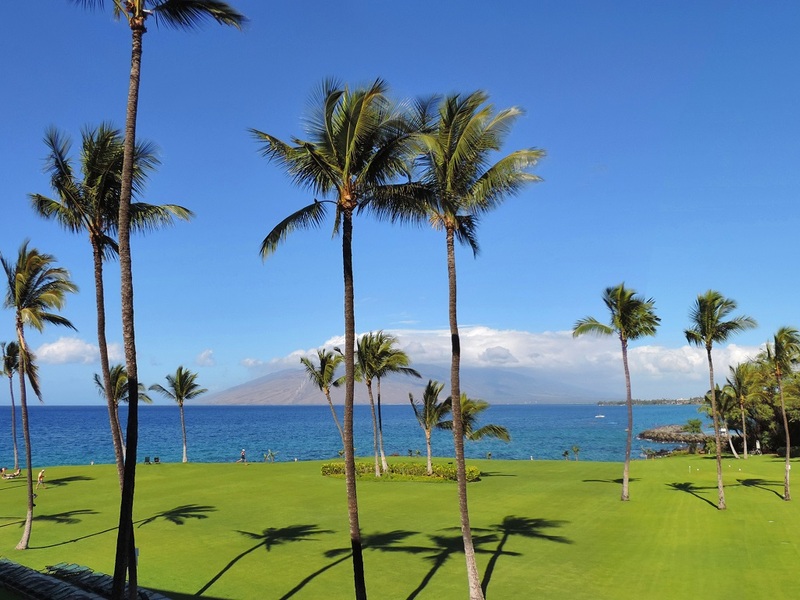 This unit is an excellent choice for guests who are looking for a high end, spacious, private, comfortable, condo in a quieter part of the property with a great ocean view.